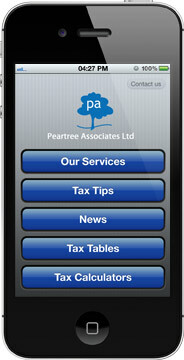 Peartree Associates Ltd TaxApp – The future is here! Peartree Associates Ltd TaxApp will always be technically up to date and keep you reliably informed. If you have any questions please call us on +44 (0) 1777 869 630 or email us at enquiries@peartreeassociates.com.